Well, it's been over a year since I last posted. I'm going to say it's because I have been so busy with client work that I just couldn't find the time for my own brand. And I know you will believe that because I am so selfless and dedicated. Anyway, what better reason to get back to posting than the biggest news of 2017. I mean, it's been all over the media. And it's color related. No, no, no. Not orange. GREEN!!!! And not only green, but Yellow Based Green! YES. Greenery is the Pantone Color of the Year 2017. YAY!!! It's about darn time. I've loved green, and especially yellow-green my whole life, and I will tell you one thing, I get A LOT of flack for it. "Goat's Puke Green". 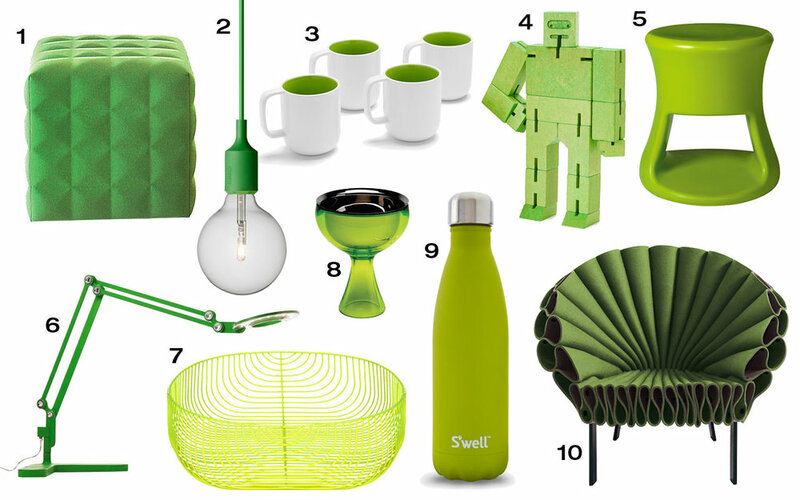 "Bile Green". "Baby Poop Green". Trust me, I've heard it all. Many people are so not down with my go-to hue. But I have stood by it forever, and now my friends, I reap my reward. So today, more than ever, I am here for all your fresh, new, and vibrant YBG needs. Leaves, lima beans, golf courses, unripened tomatoes, tree frogs, bile. It's all here for you. And I'll put them in any form - digital, motion, logo, vehicle graphic - you name it. I'll even pair it with other colors. Except orange. It's just too soon. Just look at all the things that can be Yellow Based Green: 1) A lumpy Kleenex box cover with no hole for getting the Kleenex out.. 2) One of those light bulbs that's hard to look at or it gets burned into your retinas for a half an hour. 3) Wine glasses for drinking flights of wine while you are watching The Crown. 4) One of those toys that your kids beg for and then never look at again once they get it home but you save it for 10 years anyway. 5) A large open mouth without any eyes. 6) An extra arm with a magnifying glass and a light on the end for seeing stuff when you are over 40. 7) A nice basket for cats to sleep in. 8) The Holy Grail. 9) A super special thing to drink wine out of when you are in need of a lot of wine at once. 10) A chair that would last about 45 minutes in my house before someone totally destroyed it and then my husband would have a nervous breakdown.